I was distracted for the first three-quarters of the reading of Mrs. Palrey at the Claremont by the oddest sensation that I have read this book at some time in my past. I rarely forget books I've read, and never once I have them in my hands. But there is something familiar and cosy about this story; it is almost as though I know it from a dream I once had about getting old. Elizabeth Taylor has created such a real space with such real people, that I feel as though I know it intimately. The spaces the characters inhabit are so vivid, without being overly described, that I can smell the smells and feel the textures in my mind of the stately but aging hotel, the rain washed street, the bustle of Harrod's. We begin at the beginning, with Mrs. Palfrey arriving at the residential hotel in London where she choses to retire. A woman of independent spirit and comfortable financial means she holds herself emotionally apart from the inhabitants of the hotel who are mostly older and quirkier, and with a smaller mental sphere than her own. Observant of the emotions and physical details around her, Mrs. Palfrey quickly finds her place at the hotel, learning to identify the faults and foibles of her fellow residents. An old lady in a modern age, Mrs. Palfrey works to keep her mind fresh, to adapt to new ways of living. She forms an association with a young writer named Ludo, and has more desire of his companionship than with the old folks with whom she lives. She walks every afternoon for the pleasure of being outdoors, and keeping active. There is a scene when a few of the residents share a taxi to a party, and Mrs. Palfrey considers the best modern manner of sharing the tab, rather than allowing the man to cover the bill. She is conscious of never being a burden on another, of providing for herself, of never being a nuisance. She learns from those around her how not to behave as an elderly lady. It is her young, open mind that keeps Mrs. Palfrey from being a character we pity. She approaches old age with grace and without self-pity, with a self-awareness many others seem to lack. She is does not want to join the league of dotering old folk who are crippled in mind or body, she wants to rise above all that. And in her pride, she invents a deception that both amuses her and sets her apart from everyone else. 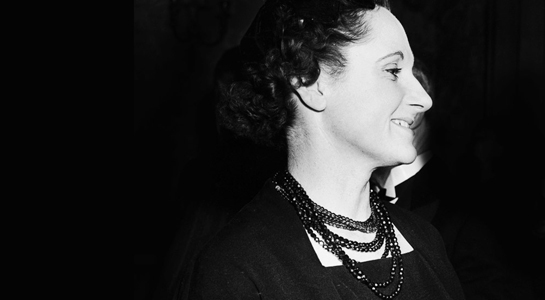 I thoroughly enjoyed her relationship with Ludo, who joins the deception and pretends to be Mrs. Palfrey's negligent grandson Desmond. She is never so lonely as to accept friendship (or romance) indiscriminately, and is independent to the end. I enjoyed the interesting twist on the book-within-a-book motif. Ludo is writing a novel throughout Mrs. Palfrey at the Claremont and he obviously draws information and material from his friendship with Mrs. Palfrey. Was it just my imagination, or are we meant to see the novel we hold in our hands as Ludo's creation? I thought this might explain so much of Ludo's own story being included, although his girlfriend and mother's characters are never fleshed out enough to be totally successful. I imagined Ludo including his negligent behaviour in the text as a guilty confession that he should have been a better friend. 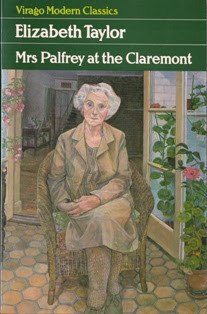 Mrs. Palfrey at the Claremont was a delightful read. Elizabeth Taylor's ability to make you feel as though you are in the room with these characters shows the skill of a real master. She's often compared to Jane Austen, and although it didn't strike me whilst reading the book, as I look back over the real strengths of the writing, I see that the comparison is an apt one.